Flakes of air dried savoy cabbage. Common uses: Like many of our other air dried vegetables, this savoy cabbage is often used as a side dish or as an addition to soups, chilies, stews, and casseroles. Note — The savoy cabbage plant has a round head, crinkled leaves, and a superior flavor when hydrated. First things first. I'm not buying for an apocalypse. I'm newly single and have downsized to a smaller place with limited refrigeration and kitchen storage. The savoy cabbage is an excellent soup starter. Here's the first recipe I've come up with so far. Italian seasonings and minced onions to taste. 2. Stir in chicken or chili base and simmer for 20 min or more. 3. Stir in spaghetti sauce or chili, which ever you have. 5. Serve with cornbread muffins, crackers or crusty bread. *Note: Re-hydrating overnight is optional. I wanted to gauge the finished volume - and my experience with the potatoes is that they need a longer soak to cook properly. I never thought much about cabbage - that is until I tried this! So sweet! And cooks up perfectly. We poured some out of the bag and even the picky veggie eaters were gobbling it down, commenting on how good it is while they chewed. Try some! It will turn you into a cabbage fan! Great aroma when we opened the bag. Very impressed with the quality of dried cabbage. Great for adding to soup. I use dried vegetables when we go on a trip in our motorhome. Light weight and do not go bad like fresh veg. Will and do order them over and over. I purchased both the white cabbage and this savoy cabbage from your site. Much prefer this one! While the white version tends to get soft and mushy in liquid, this savoy maintains a crunchiness that says, "Cabbage!" to me. So far I've used it to make cabbage roll casserole, and it turned out really excellent. Will also be good in soups, since it maintains that crunchy texture. Looking forward to trying it in other recipes I'm developing. I used this tonight in a rice dish for dinner and I was very happy with it. It has a nice fresh cabbage flavor and a little crunch to it like cabbage should have. 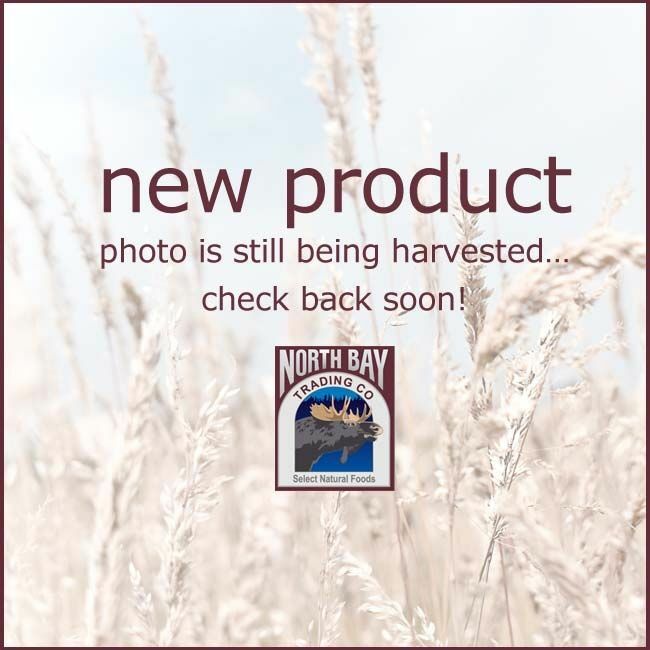 North Bay has wonderful products! I really like this dried cabbage. So far I only sampled several pieces right out of the package, but this will be so extremely versatile and convenient in my cooking as well. I am thrilled that I ordered this stuff! Yummy! I live miles from the nearest grocery store, but your dried veggies make it seem like I have a produce section in the pantry. I use them to make great homemade soups, or I add their fresh taste to whatever side dish I'm making. I don't have to waste gas driving 20-plus miles for my cooking to have more consistently complex flavors, and I get compliments from my husband, as well as guests. Thank you for offering such high quality products. Others have requested okra. I'd be ecstatic if you could offer kale (freeze or air dried). This is, by far, my favorite vegetable that NorthBay offers. it's so very versatile, too. I've made dishes with it both ways--hot and cold. 'Air Dried Savoy Cabbage' can be re-hydrated for a delightful crunchy summer cole slaw, and also can be made into a hearty pot of winter-time savory cabbage stoup. Cabbage is high in vitamins and fiber, so I bought this to add to homemade soup. Then I added it to a prepared Jambalaya rice mix. The cabbage added a wonderful flavor and texture. I will try adding this to canned condensed soup because it softens up quickly and would be a healthy improvement to the tin can flavor of Campbells. These are so great. I've added dried cabbage to many dishes and taste is wonderful. Lately I've been snacking on them right out of the bag. People keep asking what I'm snacking on and I say cabbage chips. Many are amazed on how great they taste after eating them! This dried cabbage adds great flavor to soups. Wasn't sure I'd like it, but it's good, has body and crunchiness. This cabbage is a wonderful product - it re-hydrates quickly and is a great supplement to add to "Cup of Noodles" items. Delish! Use dry cabbage flakes while cooking soups, chilies, stews, and other foods with sufficient liquid content. For most other applications, hydrate using 1 part dry cabbage flakes and 7 parts water. More water may be needed for all hydration methods. Rehydration Ratio — 1 lb of air dried cabbage, once rehydrated, equals approximately 8 lbs of fresh prepared chopped savoy cabbage.